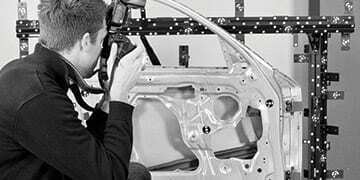 Using our in-house expertise and the vast array of equipment we have, we are able to offer you an efficient, reliable and cost-effective 3D Scanning service to suit your business needs. We scan lots of items ranging from teeth size to articulated lorries, planes and trains! Using CT Scanning, we can not only scan external geometries but also full internal geometry for inspection, reverse engineering, root cause analysis etc. Additionally, we have full access to Zeiss CT Scanning facilities. Whether you need a tooth sized component, a plane or a building / film set scanning, Central Scanning can help you achieve your aims. Using our in-house 3D printers and our team of skilled and passionate 3D printing geeks, we can provide you with a variety of solutions from a simple print to a full colour 3D print in a variety of polymer-based materials to assist your workflow – animation, film, fixtures, tooling, automotive, nuclear to name a few sectors we work within. Need to verify a prototype or comply with your end users quality requirements ? We offer CAD-to-Part Inspection, Part-to-Part Inspection and First Article Inspection Reports. We are fully ISO 9001 & 14001 and UKAS compliant. Our measurement equipment is annually recertified and 3D scans are conducted in a temperature controlled and air conditioned environment. We offer CAD-to-Part Inspection, Part-to-Part Inspection and First Article Inspection Reports. In conjuction with our 3D scanning services, we can offer valuable insight into your manufacturing and prototyping processes. Our inspections can cater for Best Fit, RPS and Feature Based Alignment methods. The typical inspection applications include Spring Back Analysis, Colour Graphic Maps, Sectional Information, Wear/distortion characteristics, Clearance/Interferance fit analysis, Aerofoil Shift and Twist Analysis. We are fully ISO 9001 & 14001 and UKAS compliant. Our measurement equipment is annually re-certified and 3D scans are conducted in a temperature controlled and air conditioned environment. Our many clients include major companies in the aerospace, automotive, casting, foundries and nuclear sectors. 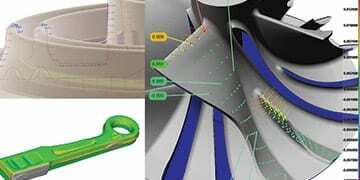 We provide reverse engineering services to take a 3D scan and realise it as a CAD file ready for further modification, re-manufacture and CNC machining. We can input and output data in most industry used formats including: stl, .iges, .step, .asc, .xyz, .txt, .ply, .obj, .3ds, .wrl, .x_t. How can Central Scanning help? We can input and output data in most industry used formats including: .stl, .iges, .step, .asc, .xyz, .txt, .ply, .obj, .3ds, .wrl, .x_t We have specialised software from a variety of manufacturers including: Polyworks, Geomagic, Rapidform, Rhino CAD, Solidworks and Delcam PowerSHAPE. We can transfer parametric models to the following programmes: Solidworks, Siemens NX, Pro/E, AutoCAD, Inventor, CATIA. We train your engineers and other staff to use the equipment we support. Predominantly ARTEC 3D and ZEISS. Let the experience of the Central Scanning team lead you forwards. Central Scanning are a team of dedicated and experienced engineers with vast knowledge in the world of 3D scanning, CAD/CAM and 3D printing world. We are not only sellers of Artec3D and ZEISS equipment but we also are daily users of the equipment ourselves. No matter where you have originally purchased your Artec3D or ZEISS equpment, we can offer training to get the best out of your investment and team. 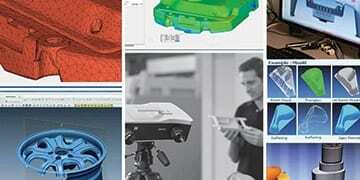 ZEISS 3D scanning, calibration and metrology. Artec Studio and using Artec3D scanners. 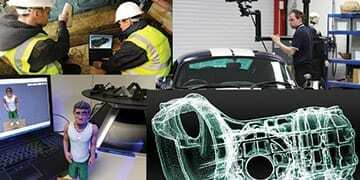 Looking for the right 3D digital solution, are you look to acquire your own system? Then check out our System Sales Info. 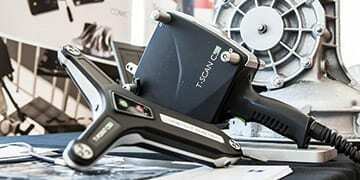 We sell 3D Scanning systems from ARTEC 3D and ZEISS. Both companies are very well established in the fields that they specialise in and as such, we like working with their systems. The right system for the application. At Central Scanning we believe in listening to your needs before recommending you a solution. We are privileged to offer 3D scanning systems from ZEISS and Artec3D and also complimentary software solutions from 3D Systems, INNOVMETRIC, Autodesk and ANSYS. Whatever you application, please do not hesitate to get in contact. Our success stories, view Our Portfolio.